Nice! 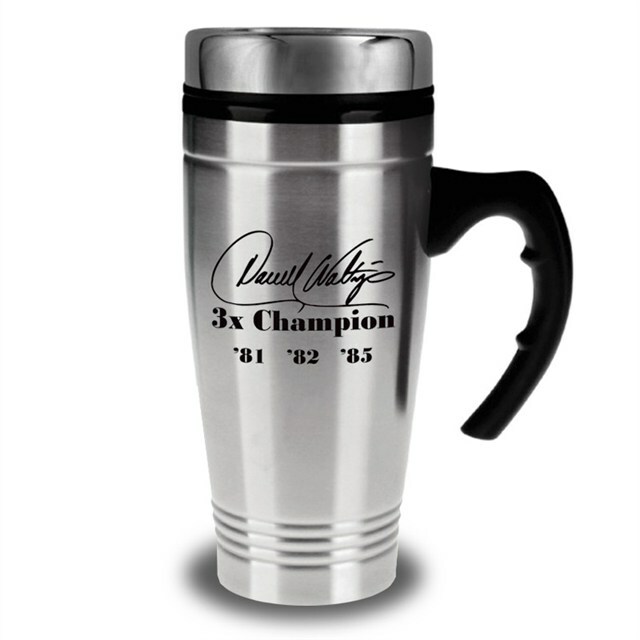 You will love the new DW "3" Time Champion Steel Commuter mug. This is a stainless steel 18 ounce double wall insulated travel mug. The mug features a tight-fitting, spill resistant lid with thumb slide closure and PVC liner. The black handle has a contoured four finger grip and a non-skid rubberized base. Extra nice for the DW fan! Enjoy!